Rachel Baum was looking forward to another opportunity to get out in the forest. Her job as a biologist at UC Berkeley was the study of the effect of climate change on Redwood trees. In recent years there was a growing alarm at the rapid changes in the California climate and how it was stressing the trees. Many felt it could be reaching a tipping point with how long the trees could adapt and survive. Her work sometimes required her to climb to the top of a 300 foot tree to check instruments that monitored the weather up in the canopy. Rachel loved the spectacular views from the canopy and listening to the wind in the leaves. She came to the grove with another biologist who remained on the ground. Josh would send up any needed supplies with a pulley. There had been reports of a storm front moving in but Rachel and Josh thought they would have enough time. As she reached the top of the tree she heard a loud rumbling and looked up to see dark clouds rolling in. “We better make this quick, Rachel,” Josh called over the two-way radio. Rachel was reaching over to the monitor when she saw the little Spotted Owl on a lower branch. She was about to catch a quick photo when she felt the hair rise on the back of her neck. The lightning hit a nearby tree sending chunks of wood exploding through the air. A large piece hit Rachel. Rachel was traveling through a tunnel. She felt the tunnel closing in on her body, squeezing. She thought she heard a young woman cry out and then she forgot about her life on Earth as she came into a new world. The midwife smiled as she welcomed this new life. Her parents named her Alexandria. Alexandria Mata was one of the first babies born in the Mars colony. Her parents were part of the first colonists to live on Mars. They were both botanists working on plant cultivation. Growing up Alex liked exploring the gardens and small nature areas that were part of the biosphere. Her parents often found her reading her books under one of the few trees. Alex loved stories about trees. She grew up to be a botanist like her parents and her affinity for trees continued. Many of her contemporaries considered her a bit odd for her interest in Forest Biology because, as they told her, the forests are gone on Earth and there would be no forests on Mars. There was one friend who shared her interest in trees, Jeff Kimura. His focus was paleobotany, the study of fossil plants. Alex was working the day a small package arrived in a shipment from Earth. The contents of the box were not revealed by the label which said it had come from the University of California, Berkeley. As she opened it she found a note from a biologist. I hope you can find a home for this specimen of Sequoia Sempervirens and help this majestic spirit survive in the universe. Most of theses trees had been lost on Earth during the Great Drought of 2030-2045 when there were years of little rain with many months of wild fires. Global warming had denied the moisture giving fog to the giant trees and the drought dried out the soil and the surrounding undergrowth. The fires did the rest. Alex wanted to show the seedling to Jeff but he was at a dig site on Olympus Mons. Olympus Mons was an old shield volcano and one of the tallest mountains in the solar system. Jeff’s team hoped that the volcano had some buried secrets in its slopes. They were looking for signs of earlier plant life on the planet. Jeff knew Alex would be very interested in what they discovered, part of a fossilized forest. “How could Mars and Earth have the same trees? “ Alex thought, incredulous. After the announcement people broke up into smaller groups to talk about the discovery. Jeff signaled to Alex. She walked over to a corner of the room where he was standing. “Can you believe it, Coast Redwoods on Mars? “Like this.” Jeff showed Alex a photo he had stored on his communicator. The colony leaders called for a community meeting the following week. Dr. Albero was asked to speak about the discovery. The expedition found two planets in the solar system with environments compatible to their home world. They decided to introduce some of their flora prior to colonization to see if it could survive. They planted some seedlings from one of their most revered and beloved trees. More information about climate change and the Redwoods. And 100 Practical Ways to Reverse Climate Change: Drawdown. Featured Image ‘Growth, plant’ by Antranias on Pixabay.com. 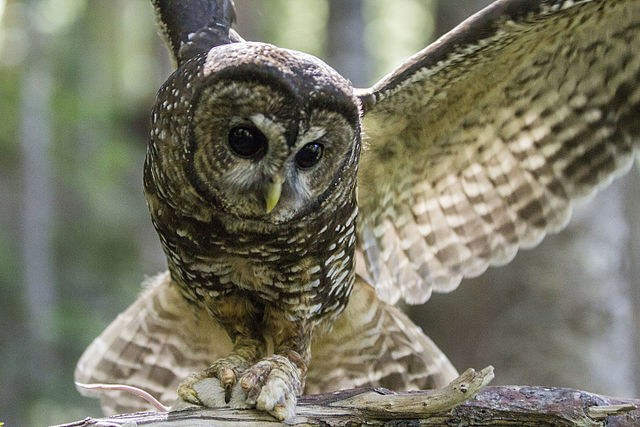 Image of ‘Female Spotted Owl’ by Emily Brauwer of the US National Park Service via wikimedia. 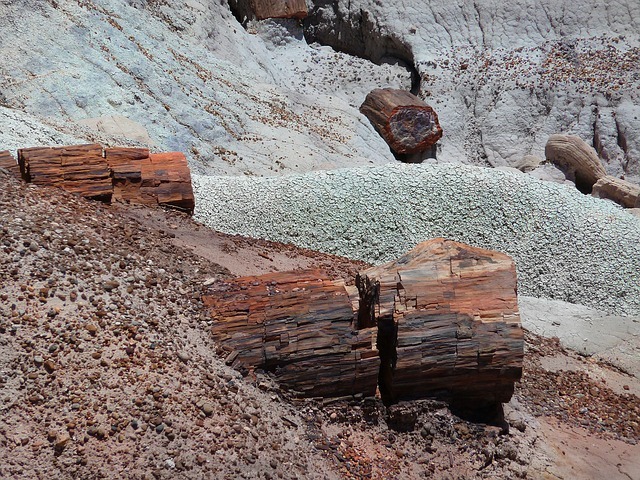 Image of ‘Petrified Wood, Petrified Forest National Park, USA’ via Pixabay.com. 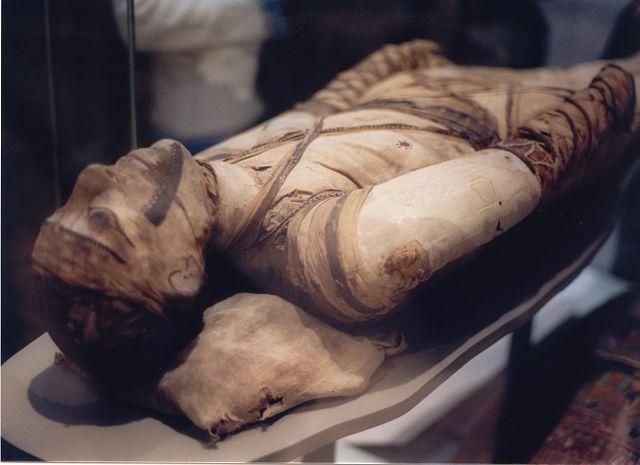 Image of ‘Mummy’ from British Museum Collection by Klafubra on wikimedia. 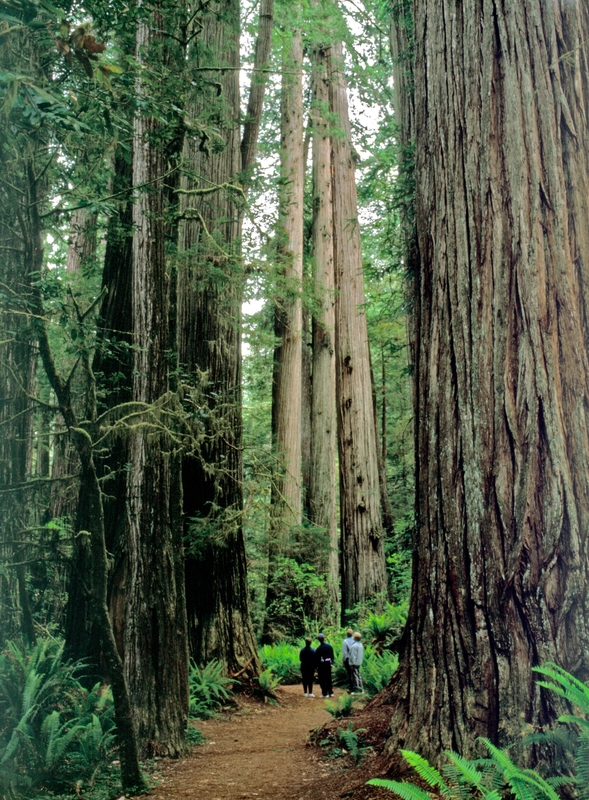 Image of Coast Redwoods in Redwood National Park via US National Park Service. This post is part of the Write…Edit…Publish #WEP#ff December Challenge, The End is the Beginning hosted by Denise Covey, Yolanda Renee, Nilanjana Bose, and Olga Godim. This entry was posted in California, Fiction, Flash Fiction, Nature, Quotes, Writing and tagged #Mars Colony, #Redwoods, #WEP #ff December Challenge, Flash Fiction on December 19, 2017 by Deborah Drucker. The Giphy is taken from the film ‘All About Eve‘ with Bette Davis. It is about a forty-year old actress who is being sabotaged by a younger rival. This role did not cramp her style at all. Isn’t she gorgeous and not old or over the hill except maybe by Hollywood standards. This entry was posted in Blogging, Blogging Community, Film Reviews, Quotes and tagged #All About Eve, #Bette Davis, #Stream of Consciousness Saturday on December 1, 2017 by Deborah Drucker. Do we need to create another movement with slogans like Women’s Lives Matter or Women Own Their Bodies. So keep your paws off! Does it ever end? The recent incident has caused a welling up of stories from women who had been silenced by shame, fear, and intimidation. There is a sickening and grief that is shared with all of my gender all the way back to Eve. This entry was posted in Blogging, Blogging Community, Quotes and tagged #Sexual Harrassment, Stream of Consciousness Saturday on October 14, 2017 by Deborah Drucker. So many tragedies have been occurring, one after the other. When I am presented with a major act of violence I find myself shutting it out. In defense, a wall rises to shut out the shock. It is too much to take in. All these tragedies, hurricanes, earthquakes, mass shootings. It has gotten to the point of seeming unreal. Shocked about the man made disasters more than the natural ones. I could relate to this post on Introvert, Dear. If you are sensitive and/or an empath you need to limit the amount of negative and disaster news you are exposed to. Do self care to manage the stress. It is ok to avoid the non-stop news. You can counter all this negativity by contributing your positive energy to the world in a way of your choosing. This entry was posted in Blogging, Blogging Community, Quotes and tagged #Burnout, #HSP Coping, #Trauma on October 5, 2017 by Deborah Drucker.